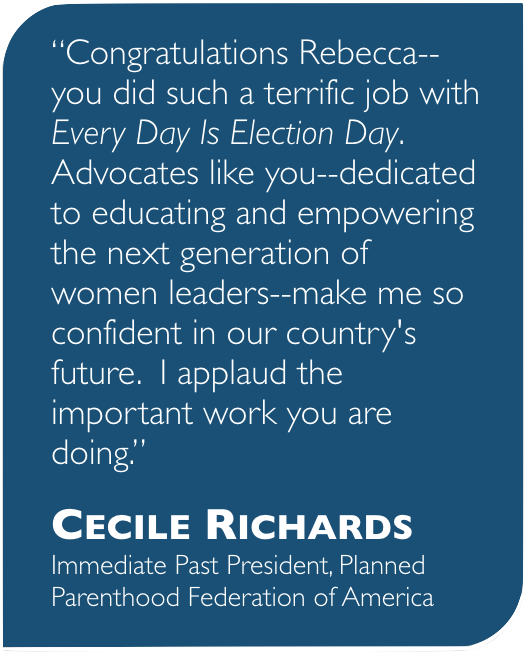 Innovation Excellence excerpts Every Day Is Election Day in recognition of Women’s History Month. 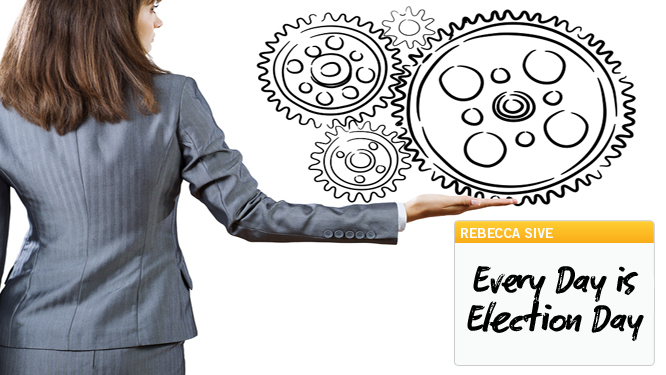 Here is the URL:http://www.innovationexcellence.com/blog/author/rebecca-sive-2/. Join us April 17, 2015 for this talk with recently re-elected Maggie Hassan, one of only six women governors nationwide. For more information: https://universityevents.wufoo.com/forms/a-conversation-with-governor-hassan. The Utne Reader excerpts Every Day Is Election Day. I am a “SheSource” on women and politics and public power: click below for more. Independent Publishers Group media contact: Meaghan Miller, mmiller@ipgbook.com or (312) 568-5412. For information about special sales, organizational discounts via direct purchase and custom editions, contact: Chicago Review Press publisher, Cynthia Sherry, at: csherry@chicagoreviewpress.com. My literary agent is: Laurie Abkemeier, laurie@defliterary.com.